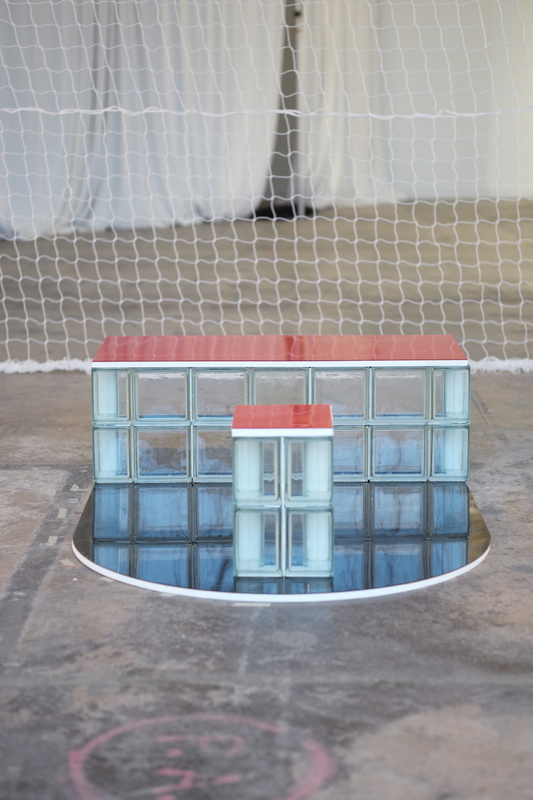 At Collective Design, inflatable landscapes, spinning playgrounds, and other architectural highlights. 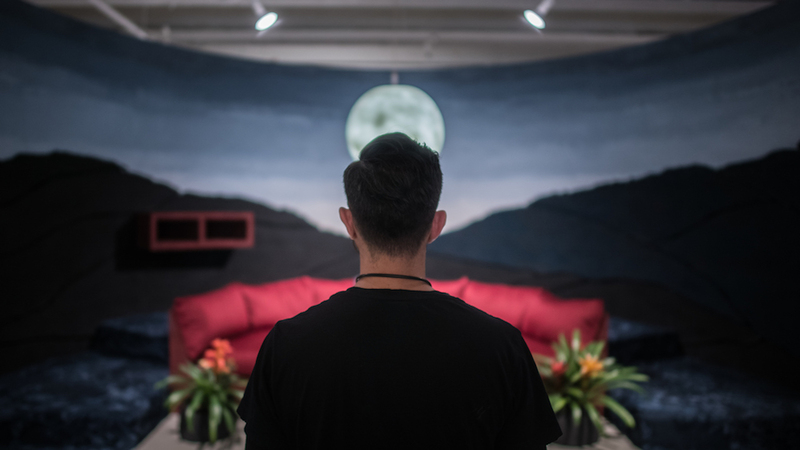 Pictured here: The Dream by Fernando Mastrangelo (Jacob Gossett). AN’s editors toured the 6th edition of The Collective Design Fair at the Skylight Clarkson North this morning. 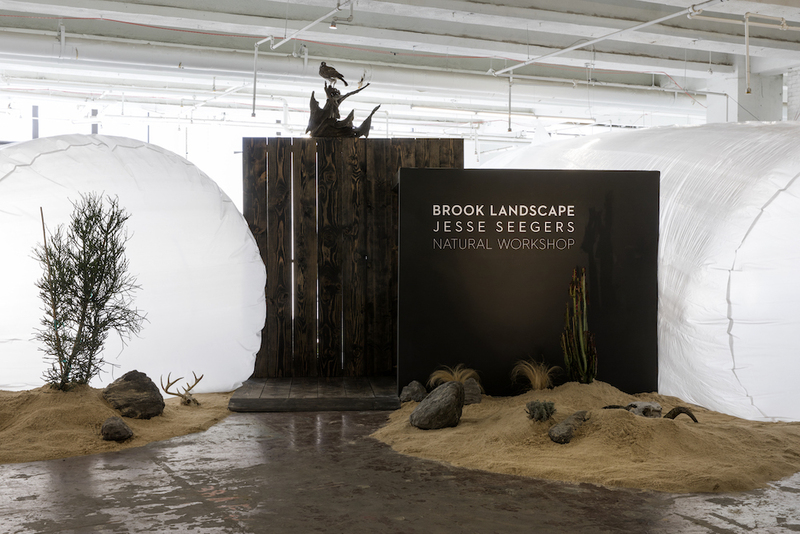 At the fair known for its creative installations, we strolled through aisles of booths occupied by design-focused galleries and site-specific creations by local designers and museums. Several, highlighted below, walk that dazzling line between art, design, and architecture. 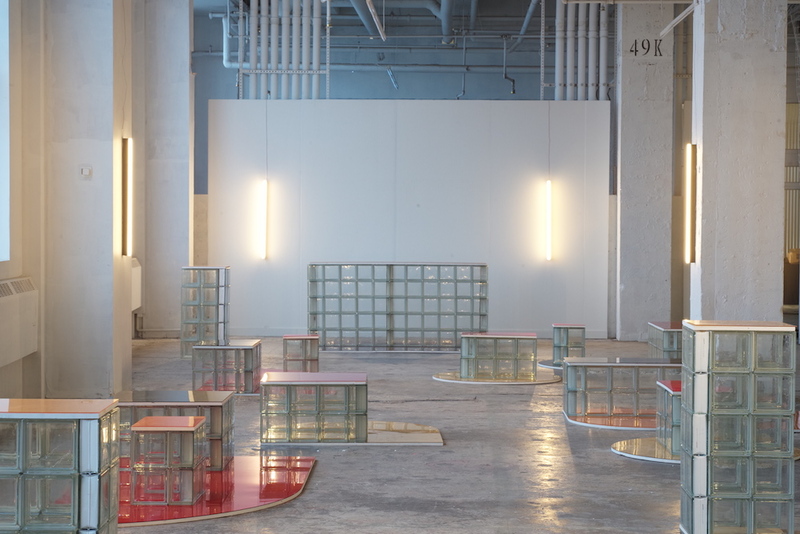 Though it is called the VIP lounge, founding partner of LOT and Objects of Common Interest, Leonidas Trampoukis, would describe the topography of glass blocks and slabs of acrylic his firm created as “more an installation.” Fashioned from translucent cuboids from Glass Block Warehouse Inc. and glossy umber-hued acrylic by Plaskolite, the purely decorative furnishings exude whimsical and textural vocabulary. Harry Nuriev, founder of Crosby Studios, is heavily influenced by growing up in Moscow. His Collective booth is lined by larger than life photos of his childhood apartment complex, a place he left at just 10 years old. While he practices primarily in New York City, the artist and architect draws inspiration from his formative years, in this case, the nostalgic memory of the traditional carousels of his younger years. 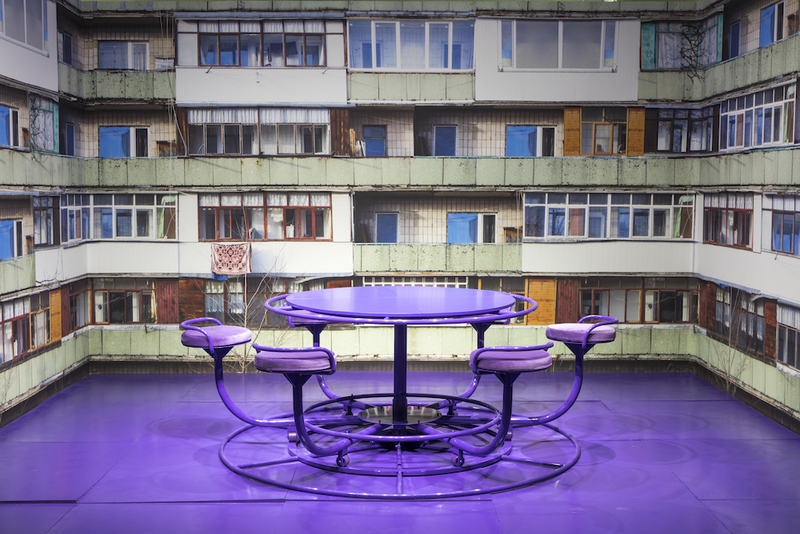 Nuriev reinterpreted his childhood playground as a vibrant purple roundtable that spins in circles, a symbolic gesture to his formative years and inspiration. 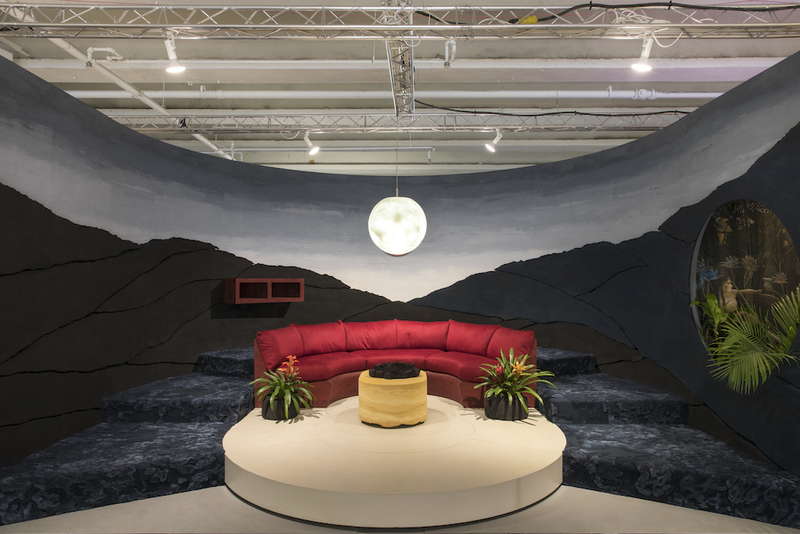 Inspired by Henri Rousseau’s painting The Dream, Fernando Mastrangelo created a sumptuous, curvilinear furniture landscape fashioned from sand molded with acrylic resin. 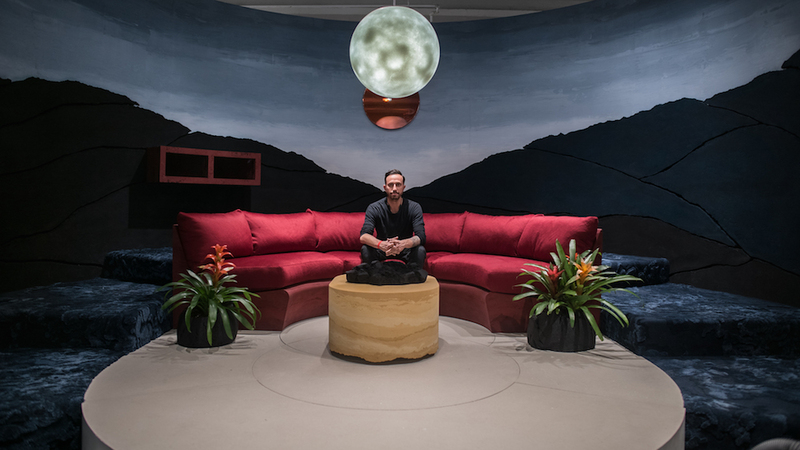 Mastrangelo explains that the process to make wall tiles and other furniture, “as kind of like sand castle-style packing sand, only into a mold.” A surreal mountainous landscape surrounds the focal point of the space, a sand-cast sofa upholstered in oxblood cashmere, while the painting is visible through a nook in the wall, making the deep emeralds, reds, and oranges glow richly throughout the tableau.